Harrison Fisher was born in Brooklyn, New York, on July 27, 1877 (1), a third generation artist in a family that included his grandfather, Felix Xiver Fisher and his father, Hugo Antone Fisher. His grandparents emigrated from Austria, an area that is now in Czechoslovakia, with the family name of Fischer. For unknown reasons, the spelling later changed to Fisher after immigration. 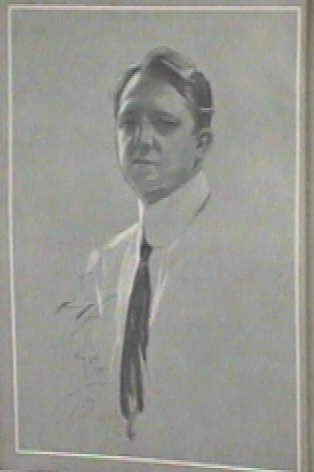 The immigrants lived in New York City, and Harrison was born in 1877. When he was nine years old, he moved with his family to Alameda, California and attended public schools. Two years later, in 1889, his mother, age 35, died of Peritonitis. Their father took his two sons. 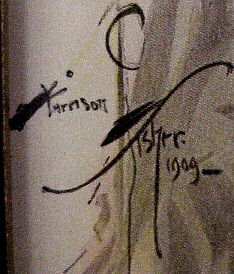 Hugo Melville and Harrison, on a lengthy sketching trip along the Pacific coast, and then they settled again in Alameda. The father instructed his sons in drawing and painting, and they also studied at the Mark Hopkins Institute of Art, formerly the San Francisco Art Association. Amedee Joullin, noted for his paintings of the Aztec Indians, was especially influential on Harrisons work. In 1894, an image he created of an Indian maid titled LAUGHING WATER, and shortly after, this work was on a deck of cards issued by the United States Playing Card Company. In 1894, Hugo Antone and his sons opened an art studio at 506 Battery Street in San Francisco, and that same year, one of Harrisons political cartoons titled JAPAN-MADE AMERICA appeared in the humor magazine Judge. The following year, Harrison began working in the news room as a Staff Artist for the Morning Call, later the San Francisco Call. He did drawings of sporting events, society functions and pen and ink illustrations for short stories. He continued to do free-lance work for Judge magazine. 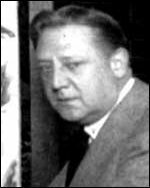 About a year later, William Randolph Hearst hired him for the San Francisco Examiner, and then sent him to New York to beef up the New York Journal, which Hearst had just acquired. Harrisons work was so popular that he accepted an offer from PUCK magazine, a rival of Judge and one of the nations first humor magazines. He also did Saturday Evening Post covers and other magazine work, and for some time, there was scarcely a leading publication that did not have his work. By 1906, he was rehired by Hearst for the American Magazine, renamed The American Weekly. Harrison also illustrated for Hearst publications, the most widely circulated in the country, which made the illustrator very famous. He was a top cover artist for Cosmopolitan and had a studio near their offices.